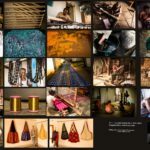 Coming back to the topic we were in Pochampally village which has a large presence of weavers who still weave traditional Patola Pochampally saris and other dressing material both in cotton and silk. 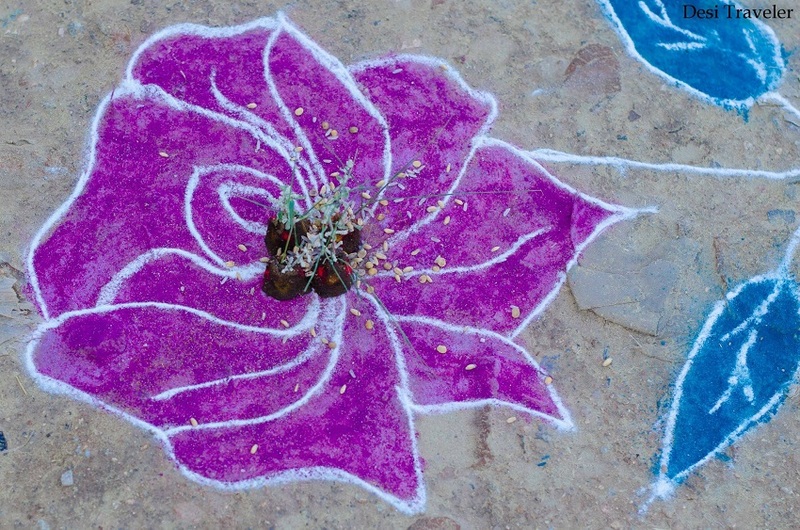 We visited the village on Sankranti when the village was all decorated with rangolis for the Sankranti festivities. A small primer on Sankranti would not be out of place here. The festival is celebrated in different parts of the country by names like Lohri in north India, Sankranti in most of India and Pongal in Tamil Nadu. 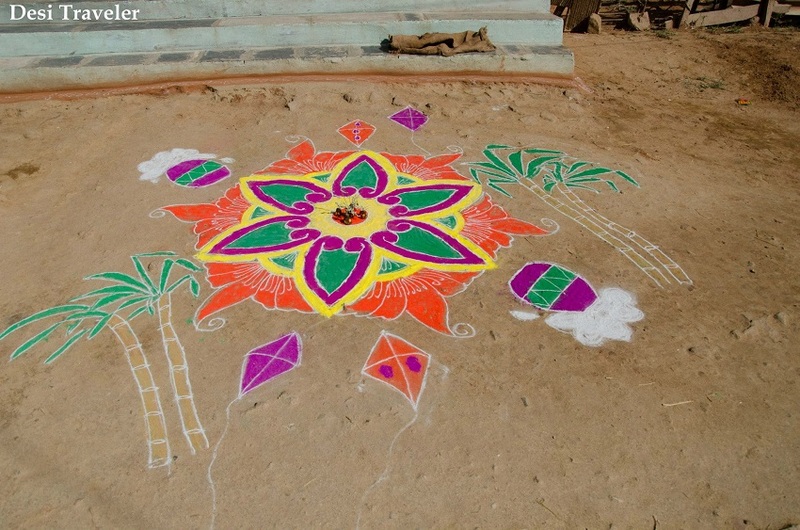 This post is about various types of Rangoli seen in Pochampally village. Sankranti probably is the only Indian festival that comes on same dates every year 13 or 14 January, as it is a Solar festival, compared to lunar calendar being used to all other festivals of India. Sankranti basically marks the transition of the Sun into Makara Rashi (Capricorn) on its celestial path. 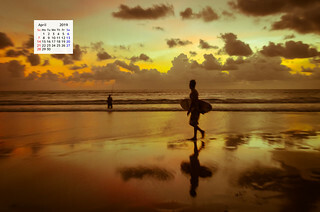 The traditional Indian calendar is based on lunar positions, Sankranti is a solar event. The date of Makar Sankranti remains constant over a long term, 14 January. So Lohri is celebrated on the evening of 13th with a bonfire and next day Sankranti is celebrated, which is also called Pongal in Tamil Nadu. We visited Pochampally with a GHAC or Great Hyderabad Adventure Club and our photography club- TCPC or Twin Cities Photography Club mainly the purpose was to click photographs of the festival. Every shop on the main road was decorated and there was a beautiful Rangoli (painting by color) outside each shop and house to celebrate Sankranti. Now Telangana and Andhra Pradesh, almost all houses in rural areas people make a small simple rangoli regularly. 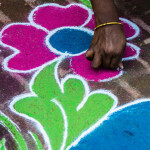 But the daily rangolis are simple affair made by chalk or using some wheat flour. 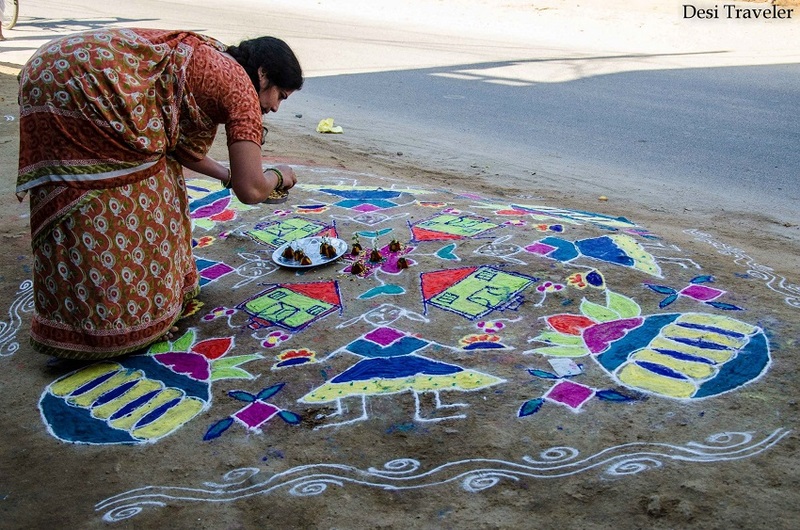 But on special occasions like Sankranti the lady of the house will spend hours decorating the house and making a very special Rangoli outside her house. 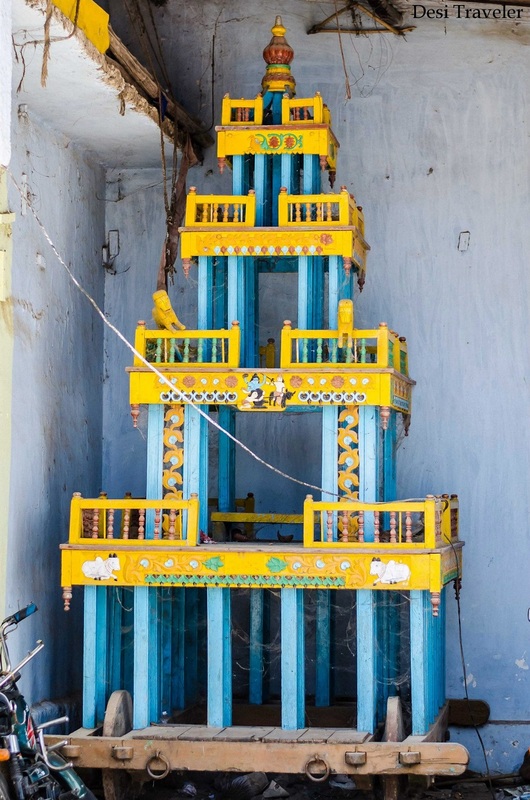 As you will see in the pictures that these Rangolis are very elaborate and with some decoration used with small pagodas made of wet mud decorated with local flowers. These traditional Rangolis were very different that you see made by city folks, which are more modern in design and use more of geometrical patterns. 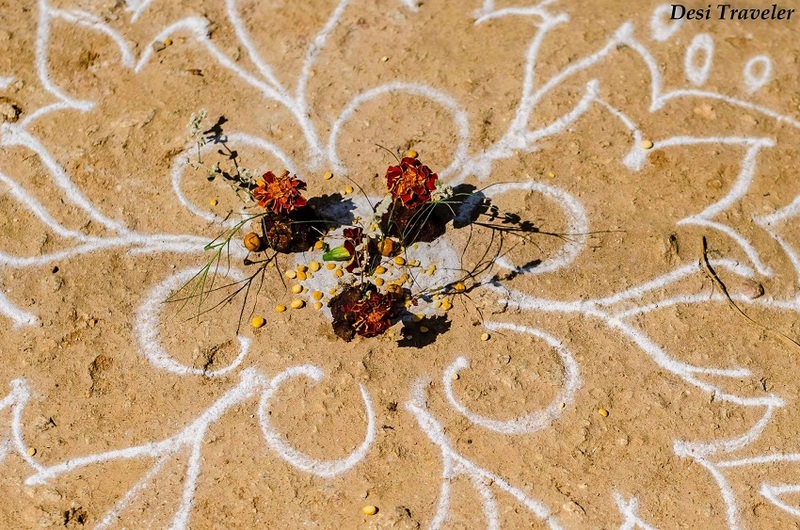 In the Rangolis we saw in Pochampally village we could see the essence of life around the village showing Sugarcane in one, rose flowers in another, a little girl playing, Kumbh and Nayiral ( vessel and coconut) used for worship were common themes. Even the poorest of the houses in the village had an elaborate Rangoli outside it. This old man standing outside his house, wanted me to click him with the Rangoli, I was more than happy to do the same. Sankranti is celebrated by decorating the house, buying new clothes, vehicles, and above all flying kites. 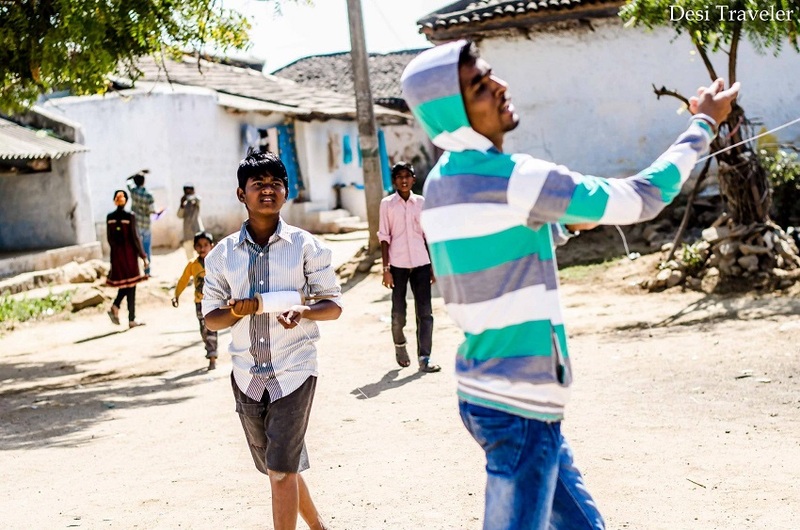 We spotted many kids and adults in the open spaces as well as on rooftops flying kites. 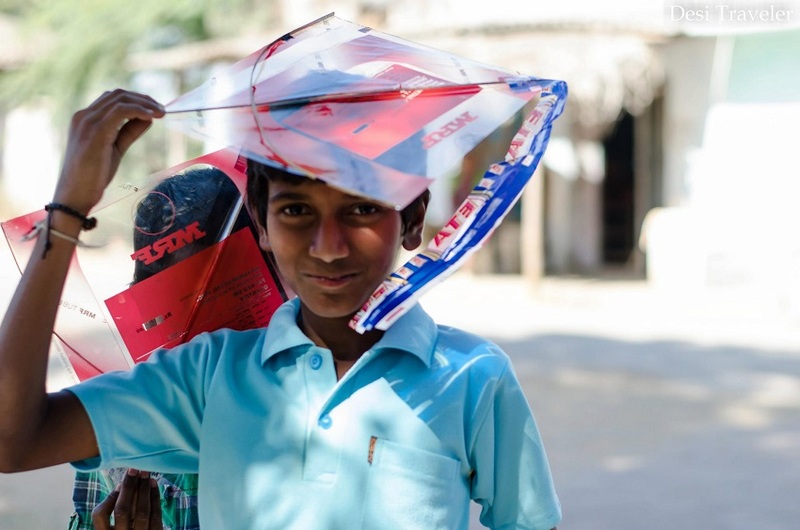 Check the picture of the boy who has a kite on his head, and he has his brother behind him who hid his face from a kite as he was too shy to be clicked. Kites also made their appearance in some of the Rangolis that we saw in the village. Talk about art depicting life. 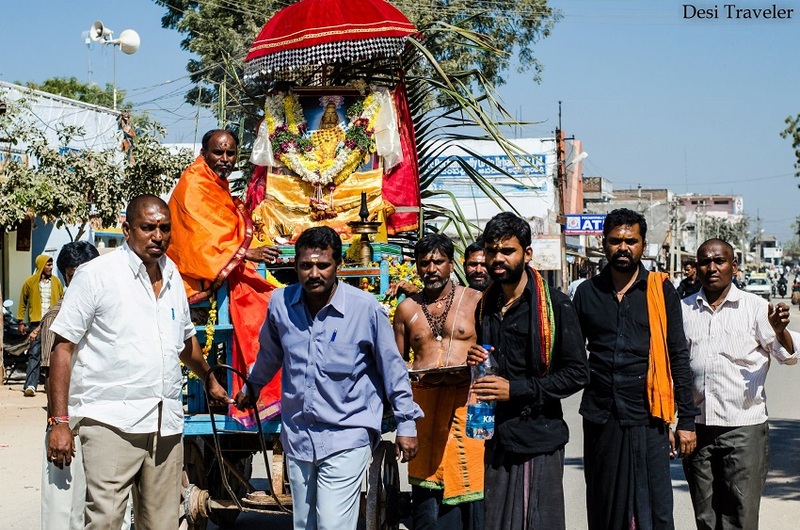 While we were coming back to the main market there was a small procession coming out of the main temple of Pochampally Sri Markandeya Temple. 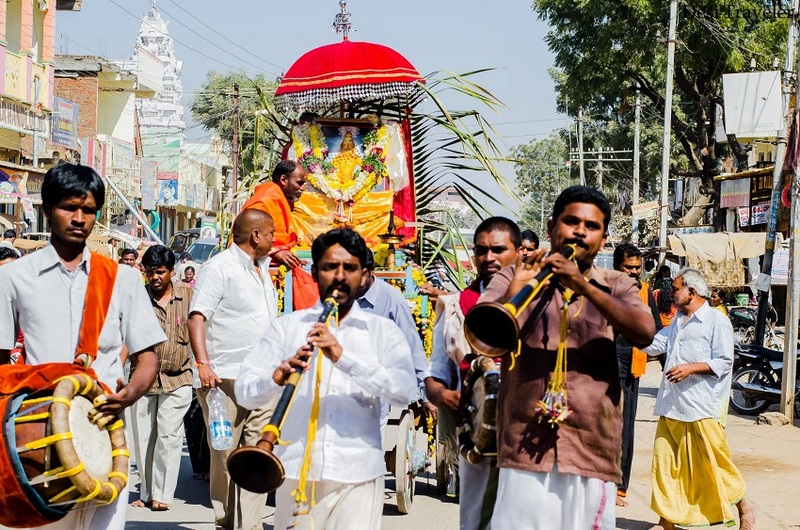 A small chariot pulled by the faithful was being taken through the streets, with traditional musicians playing devotional songs. It almost seemed like a mini version of the Jagannath Puri Rath Yatra. Overall, it was a wonderful experience and I will be writing a few more posts about the same. Please do leave your comments in the comments section. If you have liked reading the post do share it with your friends on Facebook, LinkedIn, Twitter, and Google+. All of us from GHAC and TCPC enjoyed our visit to Bhoodan Pochampally Village, and I will be writing a few more posts on the same. You can subscribe to the email updates to received new posts automatically in your inbox. I promise that I will not sell, rent, or donate your email to spammers. Rangolis are a part of any Indian festival and I just love to see various bright and beautiful designs outside every house. 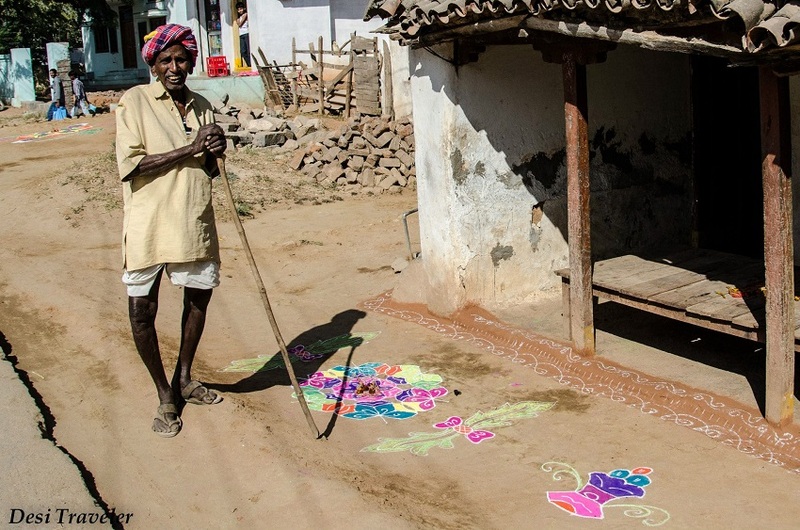 Rangolis in the rural part of India is so differently beautiful. The plain unsophisticated designs with the elements of life bring out the true fervour of a festival. Thanks for sharing this beautiful post. 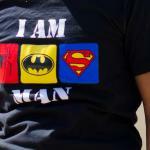 Prasad, as always, a lovely article with awesome pics. Happy Sankranti. And there are people who do the ‘kolam’ every morning, right. Amazing! I’d love to hear more about the place that’s home to the famous Pochampali sarees. Hi Divya…. Yes the Rangoli’s do look similar to Onam Flower carpets. Would love to read more about the same. I am working on other posts on the visit to Pochampally… Thanks for being such a wonderful reader. you celebrated Sankranti in grandiose style!! loved those photographs!! we don’t see boys flying kites in my town anymore. our sankranti celebration is entirely different. may be i will write about it someday. 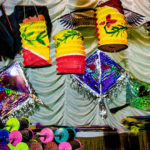 Hi Debjyoti… Sankranti is one of the biggest festivals in AP and celebrated with lots of colors and festivities in Rural AP. lovely rangolis!!! its been a long time since I saw such beautiful ones! and is this the same village that pochampalli sarees are made? wow! This post is awesome. 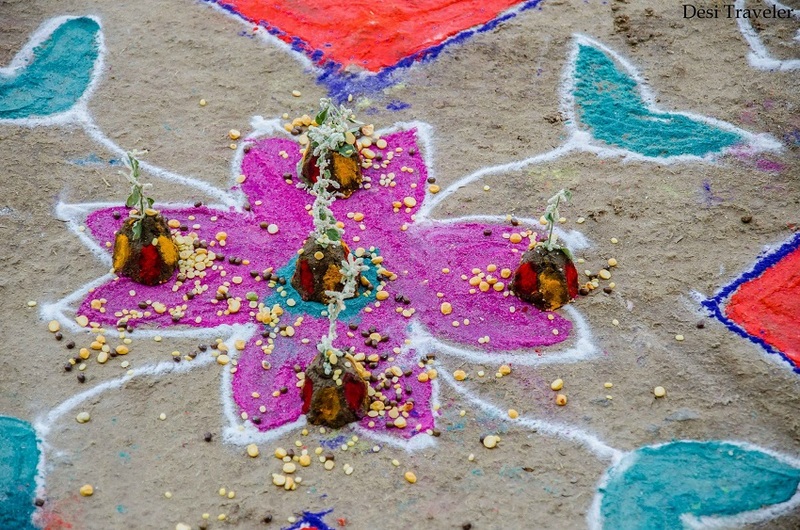 Rangolis used to be the major thing during any festival. I have such fond memories of putting colorful Rangolis overnight with friends and family. 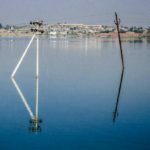 And this is such an awesome travel post for it shows one of the fast disappearing customs of India. Thanks Sapna.. happy Sankranti to you too.